Can you guess which one is my Grandmother? 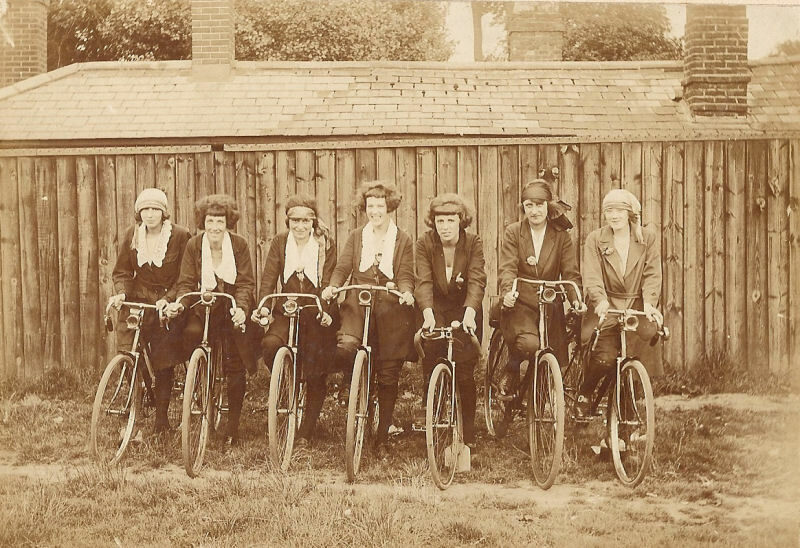 It seems my mother's parents were quite the cyclists. So enlarge the photo and see if you can find a family resemblance. 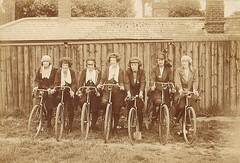 Today, my mother e-mailed me the photo on the left of her mother cycling with some friends. It goes great with an old photo I already had of my grandad. I love these old photos. Both taken sometime in the 1920’s, I believe. It seems, my grandfather was quite a racer. When my mother visited in the summer she gave me a cycling medal that he had won for a 12 hour race in the 1920’s. Yikes, 12 hours! I must admit I can really can see the resemblance between my grandmother and my younger brother (honestly Jonny). OK, now in the photo below: which one is my grandfather? Answers at bottom. 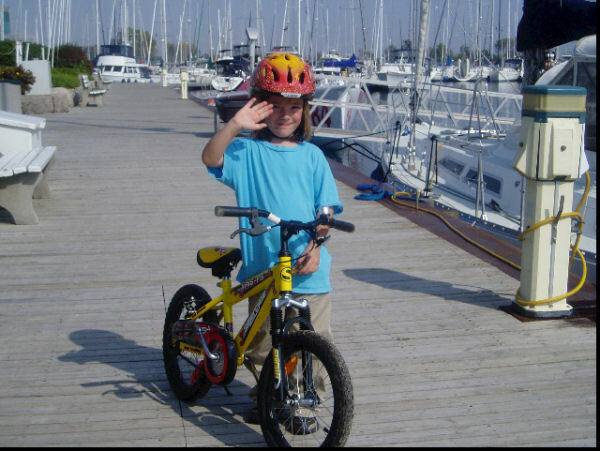 Fortunately, my niece Molly looks ready to carry on the family cycling tradition. Answer: My Granny is third from left. 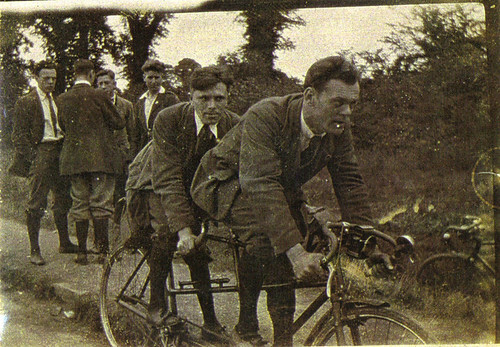 My Grandfather is on the back of the tandem. I guessed both right. Do I get a donut?